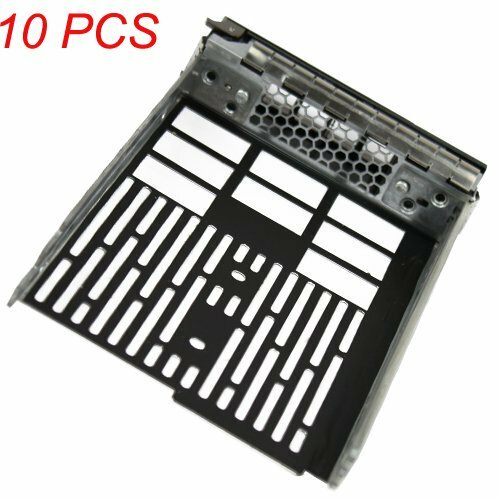 (10 Pack) 3.5'' SAS Hard Drive Tray Caddy for Dell F238f for Dell Poweredge R610 R710 T610 T710 by Generic at MDA-MA. MPN: LYSB00AA8F5N4-CMPTRACCS. Hurry! Limited time offer. Offer valid only while supplies last. Compatible Part Numbers: 0F238F, F238F, X968D, 0X968D, G302D Works with the following PowerEdge server that uses 3.5-inch SAS or SATA drives. Compatible Part Numbers: 0F238F, F238F, X968D, 0X968D, G302D Works with the following PowerEdge server that uses 3.5-inch SAS or SATA drives. PowerEdge R310, R320,R410, R510, R710, R515 PowerEdge R320, R420, R520, R720 PowerEdge T310, T410, T610, T710 PowerEdge T320, T420, T620 *List is by no means complete. Please check picture of tray to see if it is what you have.